Serenade your Valentine with sweet words! Sometimes it is hard to come up with the words you want to say to that special someone for Valentine's Day. The poems channel, will help you find those perfect words and or may inspire you to write your own poem or rhyme. Hellokids has the nicest poems and rhyming Valentine messages and sayings to create a sweet Valentine for a friend or loved one. 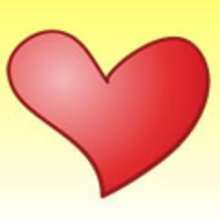 If you write a poem for someone and would like to to submit your love poems, romantic poems and Valentine's Day poems for a chance to be published on Hellokids.com, please send to: support@hellokids.com. Other Valentine ideas and activities that will be sure to keep you entertained for Valentine's Day: Valentine Quizzes, Valentine Coloring Pages, Valentine Letters of Alphabet and Valentine Animated Gifs. There is so much more fun when you check out the Hellokids Valentine's Day channel.